On Tuesday, President Trump decided it was a good time to have a little fun at the expense of Maxine Waters, who has been going off the rails ever since he was sworn into office, but has really been on the warpath over his enforcement of immigration policies currently on the books in America. Trump resorted to his classic trolling persona by stating that he actually wants to hear more from Waters, not less, noting her wackiness is going to cause folks to jettison from the Democratic Party, a move that can only be positive for the president and the GOP given the midterm elections coming up later this year. But Trump said in an early morning tweet on Tuesday that he wants to hear more from Waters, not less. Trump also took a moment on Tuesday to slam the “fake news media” again, in a tweet that turned out to have a perfectly ironic typo. 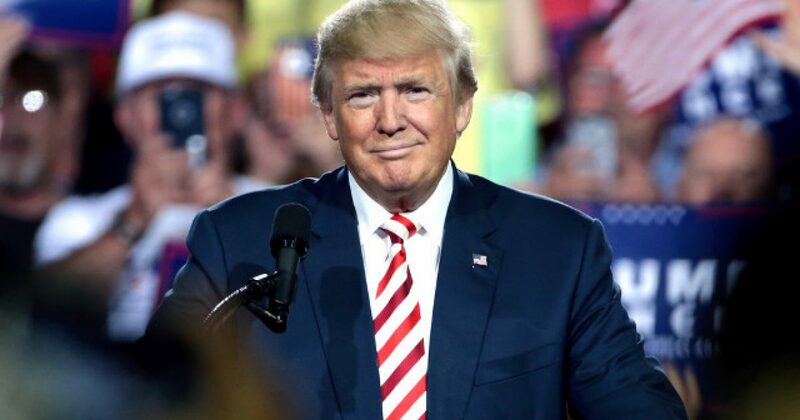 One of the many things folks tend to love about President Trump is that he isn’t afraid to do things he knows gets under the skin of the left, which is exactly what he’s doing with Waters. He knows this is the way to keep them off balance, to engage in personal insults and thus neglect engaging issues with any sort of real substance. This serves to make them look bad, while boosting Trump and other GOP members in the sight of the general public. It’s actually pretty genius.